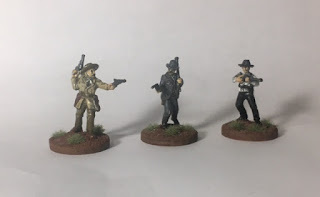 I finished painting the last three miniatures from Knuckleduster Miniatures' Legends set which contains Wyatt Earp and his brothers Virgil and Morgan, Doc Holliday, Wild Bill Hickok, and Bat Masterson. 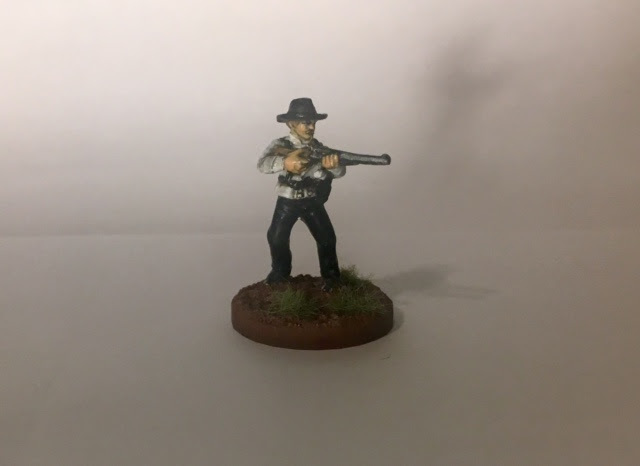 These guys, and the Earps I've already painted will be the good guys in my Six Gun Sound campaign I'll be starting shortly. Knuckleduster Miniatures have two lines of miniatures, a 28mm line and a 32mm called Gunfighter's Ball. 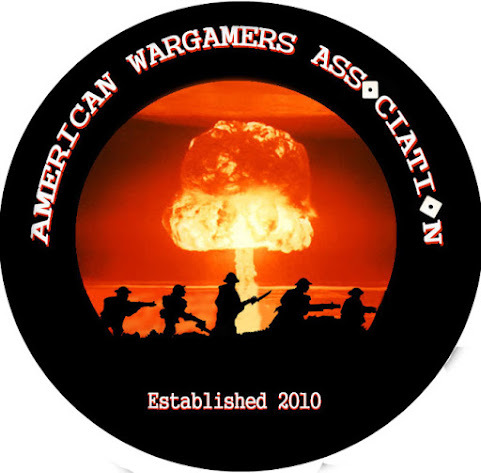 These miniatures have more realistic proportions instead of the "heroic" 28mm miniatures like Games Workshop or Black Scorpion miniatures. I know there are people out there that have a problem mixing different size minis but I'm not one of them. For the most part, 25mm to 32mm miniatures are close enough in size to not bother me. Everyone isn't the same size in real life, I have a brother that is five inches shorter than me which would be worth a couple millimeters. One of the neat things about Knuckleduster Miniatures is that they sculpt their 32mm miniatures they use a computer which allows them to scale them to 28mm which is very handy. 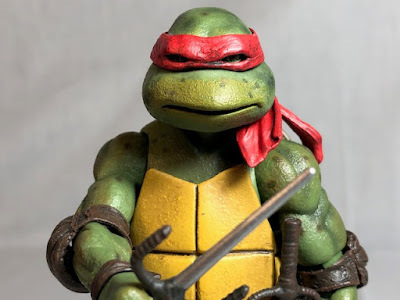 Unfortunately any minis in either size that were sculpted by hand won't be available in the other size. These miniatures from Knuckleduster had very little that needed to be cleaned up and they painted up pretty nice. 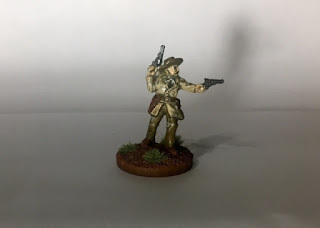 I know my horrible painting doesn't show it but check out some professionally painted examples to see what I mean. I was lucky with these guys and didn't have them get all cloudy when adding varnish to them. 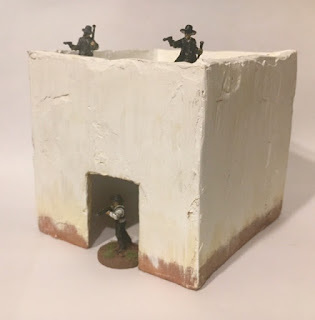 It doesn't really matter too much but I wished I had purchased this set in 32mm as that's the size of the minis I'll be buying from them in the future. As I stated above it doesn't matter too much to me but oh well. The Legends set in 28mm only costs 15 dollars for six 28mm minis which equal out to $2.50 per mini which is a good deal. 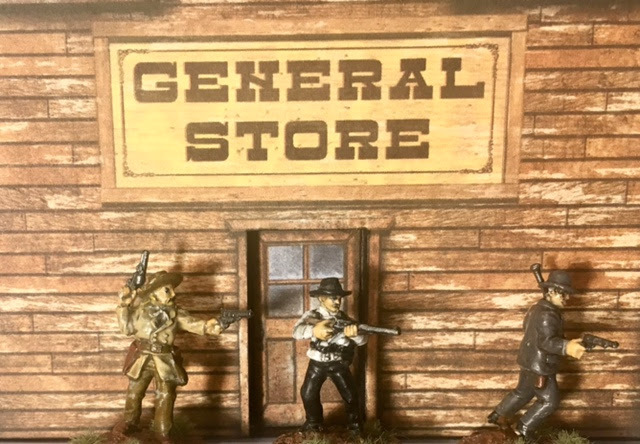 Knuckleduster Miniatures has all kinds of Old West minis including Vaqueros, US Marshalls, female gunfighters, towns folks, and much more. You'll find that there are many to pick from. 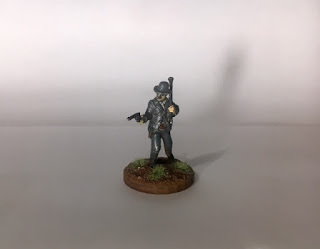 I'm pretty impressed with Knuckleduster Miniatures and will be buying more in the future so if you're in the market I suggest you check them out.